Folktales of the Amur Week at TechnoChitlins – Gennady Pavilshin, Illus. I’m going to do something a little different this time. 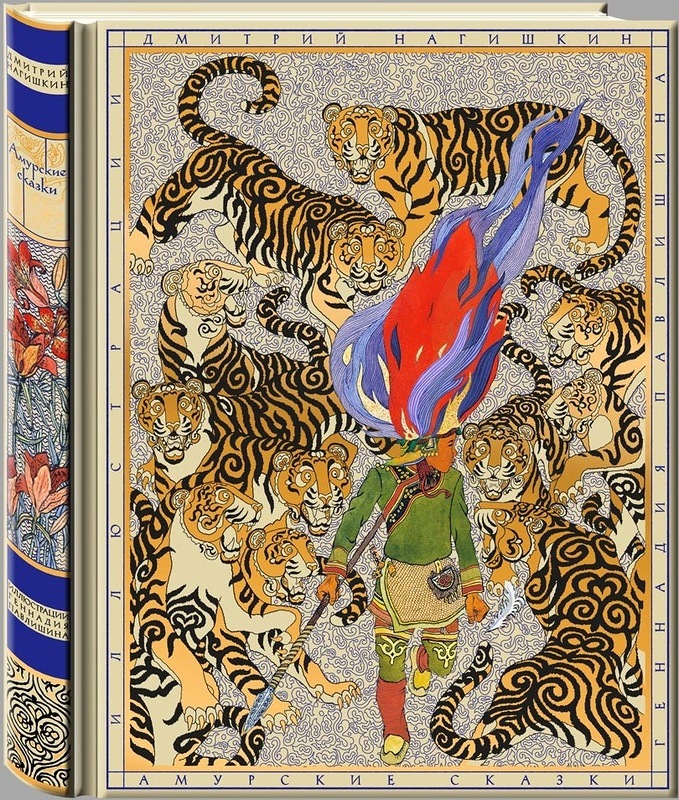 Folktales of the Amur is an illustrated “childrens” book, first published in the Soviet Union, consisting of old folk tales of the Asian people living along the Amur River in eastern Siberia. There is almost no information about the author (Dmitriĭ Nagishkin) or the illustrator (Gennady Pavilshin) available online- but there are many rave reviews of the book, especially the 1980 English translation, still available on Amazon. What I love are the illustrations. I think you will, too. Thanks to Loreto Bello Gude (@loretobgude) on Twitter for the pointer to these.